Dustin Hoffman, rock band Led Zeppelin and talk show host David Letterman are to be honored by Washington’s Kennedy Center. The performance hall will give all three surviving Led Zeppelin members – John Paul Jones, Jimmy Page and Robert Plant – individual awards. Blues musician Buddy Guy and Russian ballerina Natalia Makarova will also be recognized at the gala in December. President Barack Obama will also host a White House reception for them. 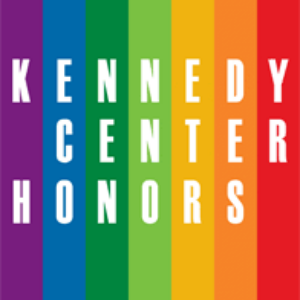 “With their extraordinary talent, creativity and tenacity, the seven 2012 Kennedy Center honorees have contributed significantly to the cultural life of our nation and the world,” said chairman David Rubenstein. The award is the highest honor awarded to those that have influenced American culture through the arts, with Meryl Streep, Barbra Streisand and Oprah Winfrey among past recipients. Led Zeppelin will be celebrated for transforming the sound of rock and roll and influencing other artists with blues-infused hits such as Stairway to Heaven. The band issued a joint statement saying America was the first place to embrace their music. “We owe a large debt to the vitality and variety of the music of the American people,” they added. David Rubenstein called two-time Oscar-winner Dustin Hoffman, 75, “one of the most versatile and iconoclastic actors” of any generation. The star of such films such as Rain Man, The Graduate and Tootsie recently made his directing debut with Quartet, to be screened at the London Film Festival next month. Dustin Hoffman said he may have found a new calling with the film, which stars Dame Maggie Smith as one of a group of ageing opera singers and musicians reunited at a retirement home. He also revealed he was last in Washington for Barack Obama’s inauguration in 2009, when it was very cold. “Since I froze my [behind] off watching him be inaugurated, the least he could do is to shake my hand under the circumstances,” joked Dustin Hoffman. Late night talk show host Letterman will be recognized as “one of the most influential personalities” on US TV. The 65-year-old said it was a wonderful honor for his family, his co-workers and himself. “I believe recognition at this prestigious level confirms my belief that there has been a mix-up,” he said in a statement. Chicago musician Buddy Guy, 76, has influenced many musicians over the past 50 years after pioneering the use of distortion and feedback with his electric guitar. The “titan of the blues” said he did not know what he was doing at the time, but just wanted to turn up the sound so somebody could hear him when he was playing with the likes of BB King and Muddy Waters. He said he was still pinching himself about his latest accolade. “I’m hoping this will give the blues a lift,” he added.